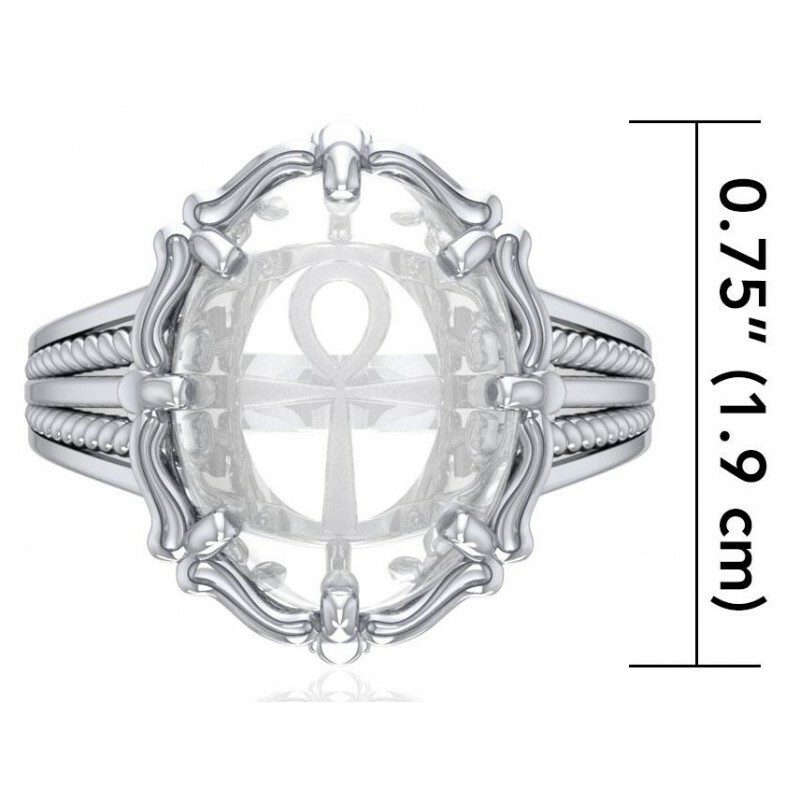 This elegant sterling silver ring features a clear faceted quartz crystal above an Ankh, the Egyptian symbol of Eternal Life. 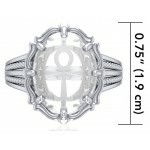 Sterling silver and clear quartz crystal ring measures .75 inches high with elegant band accented with twisted detail. 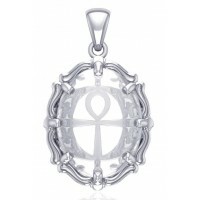 Item Number: PS-TRI1717 | Approximate Size (Inches): 0.50 wide x 0.05 deep x 0.75 high | Approximate Shipping Weight: 0.25 lbs.